There was a time when finding a leak meant having to allow tradesmen to potentially damage your property to some extent in the hope of finding the source. For decades residential and business customers put up with these poor plumbing practices because nothing else was available. 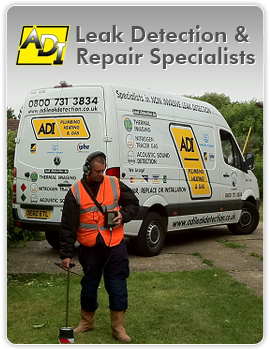 That was before ADI Leak Detection became the leading leak detection specialist in the London and greater London area. We realized that consumers deserved a higher quality of service with a more refined approach to leak detection and repair. And to facilitate this need ADI use only the very latest in leak detection technology to ensure that our procedures are as non invasive as possible. This means that your residential or business property is in the same condition after we’ve done our job. We pride ourselves on causing the minimum amount of disruption to you or your business whilst completing our work in the shortest possible time without sacrificing the quality of service that we endeavour to provide you with. We work very hard to provide the most professional, fast and efficient leak detection service you’ll find in and around London whilst maintaining a competitive pricing structure that we’re sure you’ll find attractive regardless of your current budget. 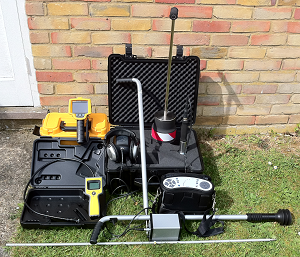 Plus every single one of our leak detection engineers is fully qualified and very highly trained. If you’d like to discuss how our non invasive leak detection could benefit your home or commercial property any one of our helpful and friendly staff would be pleased to discuss your requirements with you. Call us now on 0800 731 3843. Where Can Leaks Spring Up?